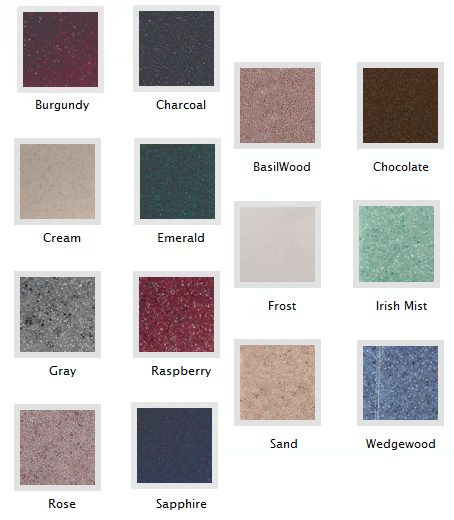 Our popular Large Cultured Granite Pet Urn is available in two sizes and fourteen rich colors. The photo above features detailed clip-art of a Labrador Retriever, paw print clip-art, and personalized engraving in Font E. The photo shows a sapphire color urn with white engraving. This is a timeless and durable urn perfect in size for pets. 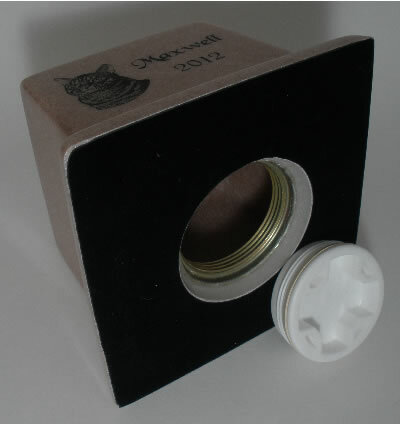 Cremains are loaded through the bottom and secured with a threaded stopper. (See the bottom opening of the urn by selecting the gray tab titled Detailed Images). Please limit the engraving to name, dates, and a very short sentiment such as Forever Loved or Forever In Our Hearts. If you want the paw print clip-art as well as a photo or breed clip-art, please limit engraving to just name and dates. We can engrave almost any clip-art. If choosing clip-art, please indicate what type of pet and breed you want engraved. Custom clip-art is when the engraver needs to convert a colored image to a black and white image or when the engraver does not have the particular clip-art image you want on file and you submit your own clip-art. It is not a photo of a pet. Clipart is a particular gray scale format. Volume is approximately 75 cubic inches - For most pets with healthy body weights up to 50 lbs. Volume is approximately 130 cubic inches - For most pets with healthy body weights up to 90 lbs. Note: The actual weight for the urn is 5 pounds. However, when shipping by Air (Expedited) the carrier charges by dimesional weight which is 16 pounds. We cannot guarantee that a certain urn is the correct size for your pet. Contact your pet crematory to determine the size urn you need for your pet or, if you already have the ashes, measure the container to determine the cubic inch volume (length x width x height up to the top of the ashes = cubic inch volume).